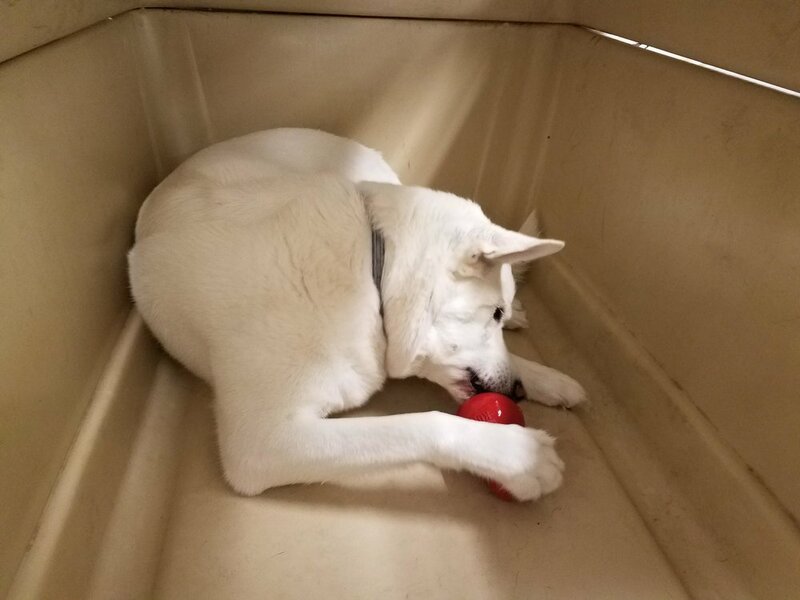 From over-achievers to under-performers, some dogs just need a little (or a lot) more out of their daycare experience. Our Outdoor Program and Intramural Activities are a great way to add an extra dose of fun tailored specifically to your dog's desires. Do they love to use their nose? Check out our Sniffari! Do they love food? Try a food puzzle to strengthen their problem solving skills. 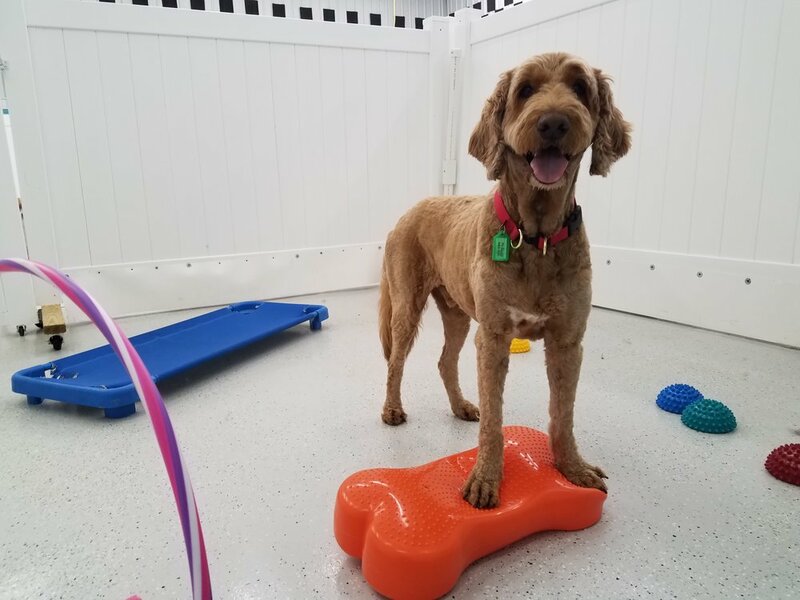 Have a sit down with our daycare trainer to discuss your dog's behavior in daycare, how to best reinforce good behavior at home, ask questions or troubleshoot an individual problem behavior your are seeing at home. Please note that, while some of these activities share the same concept as a few official dog sports, we aren't coaching your dog for blue ribbons. These activities are just for fun! While on a long lead, your dog gets to investigate the full length of the No Barks About It property, taking in all the sights and smells. Don’t be fooled by the idea of exploring one location; this is often just as mentally exhausting - if not more so - than a distance walk! A bit more structured than the wander walk, we'll "bait" the yard with some exciting novel smells (essential oils, small animal bedding, shed deer antlers, etc) and let your dog find them all. It's like an Easter egg hunt with their nose! Great for hounds! Even more specific than a sniffari, your dog will learn to track and locate specific items. This is great for dogs who need to engage their nose AND their brain. Give your dog one-on-one time with a staff member for half an hour, playing and learning with a human all their own. Activities may range from fetch to proofing behaviors under distraction. A giant wand toy like for cats, but for your dog! Great for high food drive dogs! Your dog is encouraged to problem solve with any (or all!) of our ever-expanding collection of food puzzles. Your dog will learn to navigate a series of predetermined obstacles (This isn't a competition like agility, though we do use some agility equipment; it's all about encouraging confidence!). Tug-of-war solo style! If your pup needs a little extra muscle and your arms aren’t up to the task, sign him up for a more intense version of tug-of-war using heavy-duty equipment designed to withstand your dog’s tenacious grip. Got a trick your dog just can't quite get the hang of? Want something new to show off? Let us teach your dog something fun and silly! Need more personalized help with problem behaviors? Our new VIP Training Program will shape your dog into a well-behaved canine and take your relationship with your dog to a whole new level. Visit the VIP TRAINING PROGRAM page for more information.